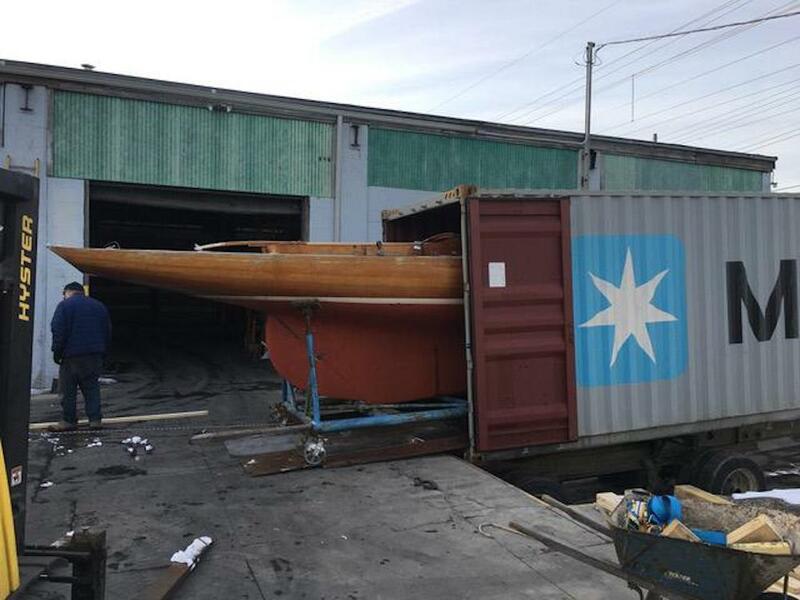 The team in Belgium and the USA assisted with the recovery of this amazing 1959 build Dragon by Pedersen & Thuesen . 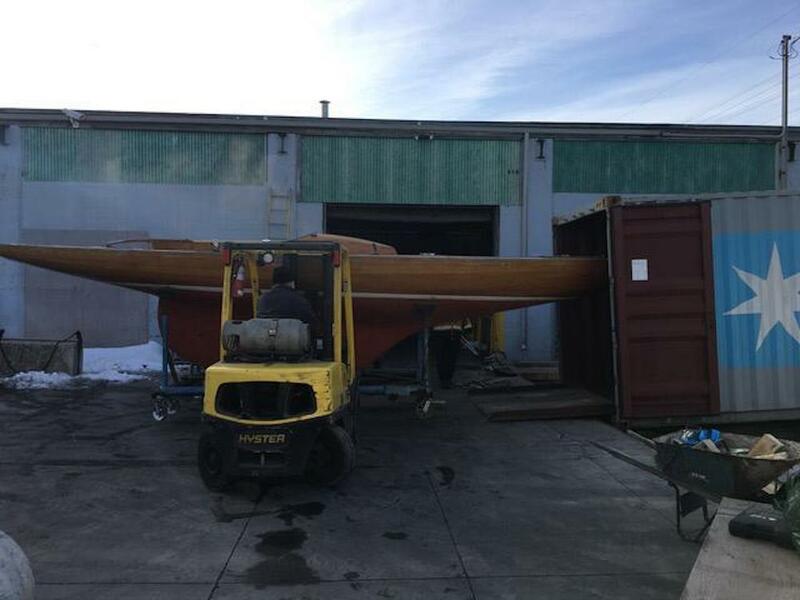 The boat was carefully loaded in Canada, secured and then shipped to our customers yard in Holland, where she will undergo a full restoration that will see her in former glory. 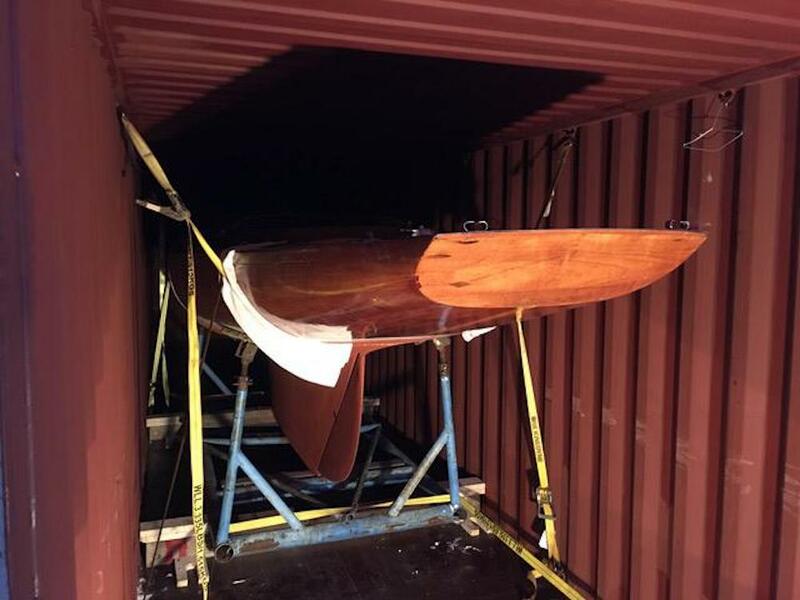 We want to thank all involved in making the rescue of this very rare and amazingly beautiful and extremely fast boat a success.